Andre Villas-Boas praised Frank Lampard's sense of timing after the England midfielder's hat-trick helped Chelsea to victory over Bolton. "It was good for him because he had a good, solid performance alongside the rest of the team," Villas-Boas said. "He arrived with perfect timing into the box as he has done in the past years. His talent was never in question." As well as 33-year-old Lampard, another star of the show was 22-year-old Daniel Sturridge, who gave his old club a torrid time and netted Chelsea's two other goals. As far as Villas-Boas - himself only 33 - is concerned, players' ages are not an important issue. 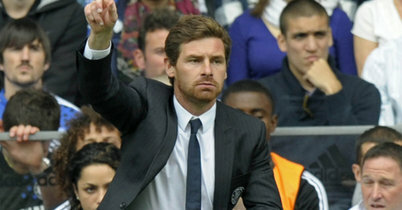 "It is not a question of age - it is a question of competence, and this squad is full of competence," Villas-Boas said. "The talent of the players is never in question and I think we have enough to talent to try to continue to challenge for the Premier League."